The ladies of The Mystery School had conducted a session in November of 2015 during which part of the recording had been lost. Perhaps this was the purpose of “Upstairs” as media information emerged about discovery of a hidden room in the tomb of King Tut. We also discover that another of the participants in the Mystery School has direct connections with the narratives about Kariong and King Tut in their soul story. In this recovered session, once again we bring you an intriguing session of The Mystery School. Oracle Monday 2nd November 2015 … Moss Vale, N.S.W. The lost part of the earlier session with the Oracle in The Mystery School. So it is important that you have an understanding of that time because you were part of the expedition that came as the ‘Royal Ceremony’ to reclaim the Prince in the Tomb had been built for him; and that his body – in the best way they could at the time – had been mummified and left in the Tomb at Kariong. The Royal Family – at the time Valerie has been given insight into (and was in her soul story) – was shown that it was important for that Prince to return to his birth place – which of course was the belief of the Egyptians of that time. And so you were part of that journey … to reclaim the Ancient Prince interred at Kariong and return it in full ceremony to Egypt. I would like you to ask questions now, knowing that you (Jill) were there. Ask questions confidently with the Oracle ~ and with the answers – know it is true. And Valerie, of course, has already made the decision not to work in confluence with the Oracle in any fashion – because she has already received a lot of information and does not want to influence the Oracle in any way. The Oracle advised there was still important information that we needed to receive about the mission to Australia – in King Tut’s time. We were now in the ancient time of King Tut known as the Amarna Period and worshipping the Sun God. Jalarm asked us to go quiet together and focus on that time. The room we were working in became very bright with Light. We were asked for healing to be sent to that time and recently we have advised in news reporting that there were additional rooms present in King Tut’s Tomb in The King’s Valley. These additional rooms were to be opened and examined. 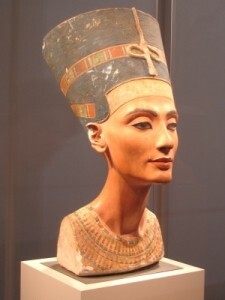 Some talk centred around the possibility that Nefertiti’s tomb might be found. There was talk about a crystal given to Jacqui at another time completely – and the Oracle spelt out she should ‘kiss it’ and meditate with it and she would receive messages. Question to Oracle: The discussion returns to Jill and her Phoenician life as a Healer to the Royals in the Amarna Period. We asked what her husband’s name was? They had 6 children. The Oracle spelled out something like Easko or Iasko. Question to Oracle: The scientists call King Tut the “Boy King“. How did the scientists know he was 17 or 19 years old? The Oracle confirmed that there was a different way of measuring age. 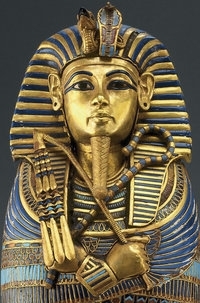 King Tut was 36 years old (not 17 or 19 years old as is commonly reckoned). Question to Oracle: The hieroglyphs at Kariong, and structure of some rocks suggest a visit to that region from Egypt, and a burial. Was there a royal tomb at Kariong? Question to Oracle: Was there a ceremonial Fleet sent from Egypt led by King Tut to reclaim the body of the Ancient Prince buried at Kariong? Question to Oracle: King Tut had a club foot. 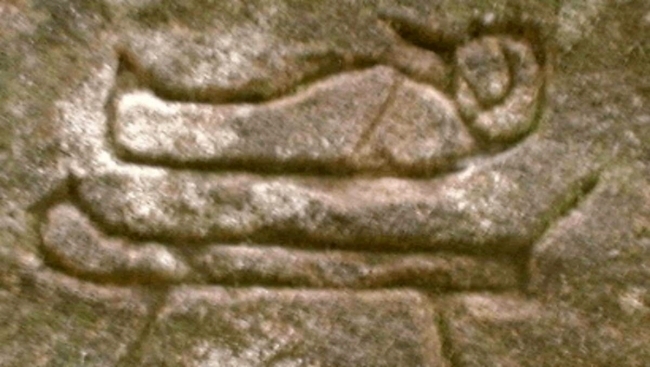 Did that have a connection to the Indigenous drawing of a God with a club foot? Jalarm:“It is Jalarm again, and to clarify My Dear, you were there and you were a Royal but you were from a different Dynasty that existed in Phoenicia. You were invited to join the mission that was taking place – and headed by the Royal King Tut (Tutankhamun) that was going to the country that you know as Australia and to recover the body of the Prince (another thousand years before) and return the body to Egypt. 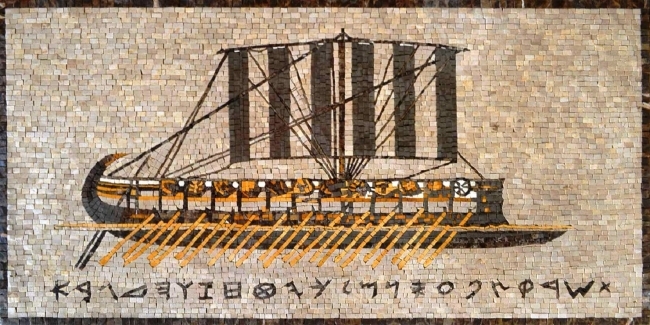 And from there you departed and went back – (as many of the ships had come from Phoenicia) and it was a way for you to return back to Phoenicia – although it was overland – for you at that time. Jill: asked at that time was she female. The Oracle (Yes) She was on that mission as a Healer. The Oracle She had 6 children (4 girls) and she was of Royal Blood. One of her children was a King. This was the 3rd child. This child was not King Tut. The Oracle The Phoenicians were sailors moreso than the Egyptians. Jill in that life was from Phoenicia. Question to Oracle: Did King Tut have an accident or become ill on that journey to Australia? The Oracle Jill was able to heal him. He returned safely to Egypt. Question to Oracle: How did King Tut die? Is the body King Tut’s body? The Oracle YES. Jill as a healer was with him all his life. Question to Oracle: Was Akhenaten King Tut’s father? Question to Oracle: Was Queen Tiye his grandmother? The Oracle YES. Amenhotep III was his grandfather. Nefertiti was not his mother. Akhenaten’s second wife was King Tut’s mother. Nefertiti left him when he married his second wife. The Oracle Nefertiti said he should have known better. Question to Oracle: Nefertiti was 42 when she died. Where was Nefertiti buried? Question to Oracle: Did King Tut have children? The Oracle King Tut had 4 children. And he also had 2 wives. Question to Oracle: Were the children killed? There was some discussion around this. King Tut had an accident when travelling to Australia or from Egypt on Mission. We know that King Tut arrived home safely from Egypt. (Oracle already said so.) When did he have an accident (or something happened to him) going or coming back from Australia? Or was he sick such as an attack of Malaria?? We needed to clarify how King Tut died. With these questions in mind, we entered into another session with The Oracle. Question to Oracle: Why was King Tut hastily buried in his tomb? The Oracle said he died of a malaria. The Oracle His embalming was difficult with severe chest injuries – he had been in an accident. Question to Oracle: What was the accident? The Oracle said it was a chariot and the wheel hit him in the chest. This was after he had returned from Australia. Although it was the mosquito that killed him. Question to Oracle:Are they going to find the older ancient Prince from Kariong in the hidden chambers that have recently been found in King Tut’s Tomb in the Kings Valley. 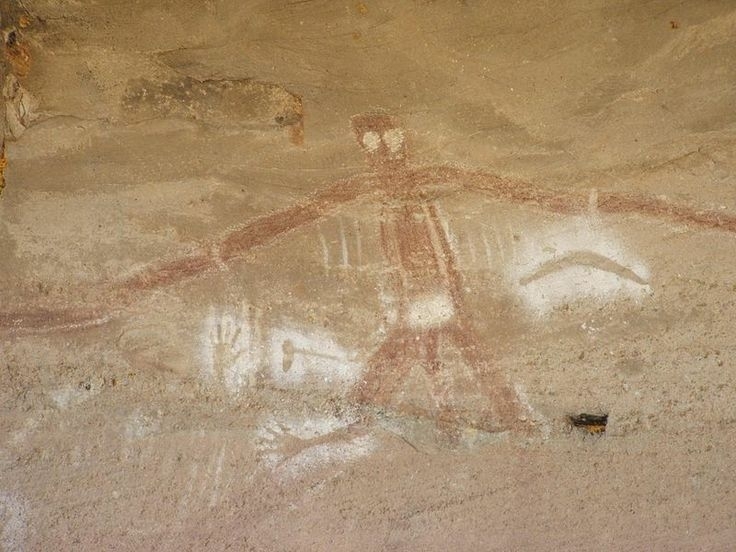 Darumalun is the dreaming time – Dreamtime – creator God who is sometimes depicted as clubfooted or single footed. He is cause of thunder and the bullroarer is said to replicate him.